We’re less than a month away from the annual Black Friday shopping blitz, but if you’ve learned anything from following the BGR Deals team it’s that every day is Black Friday if you know where to find the best deals. 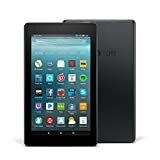 Saturday’s daily reminder comes in the form of a killer sale that Amazon just kicked off on all of its popular tablets. 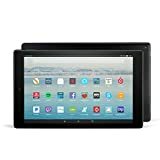 The $50 Fire 7 Tablet with Alexa drops to $39.99 in this limited-time sale, and the Fire HD 8 Tablet with Hands-Free Alexa is on sale for $59.99, down from $80. Finally, the Fire HD 10 Tablet with Hands-Free Alexa is on sale for $119.99, a $30 discount. If you want to get your holiday shopping started early, or if you just want to get yourself an awesome new tablet, today is your lucky day.